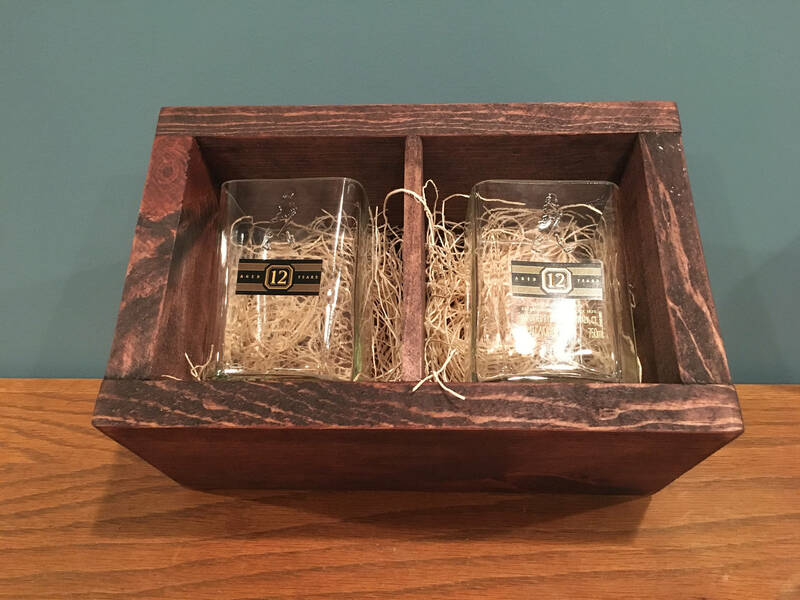 You are purchasing a (2) Johnnie Walker Whiskey Black Label rocks glasses made from empty 1 liter bottles. Cut and sanded for your future drinking enjoyment. 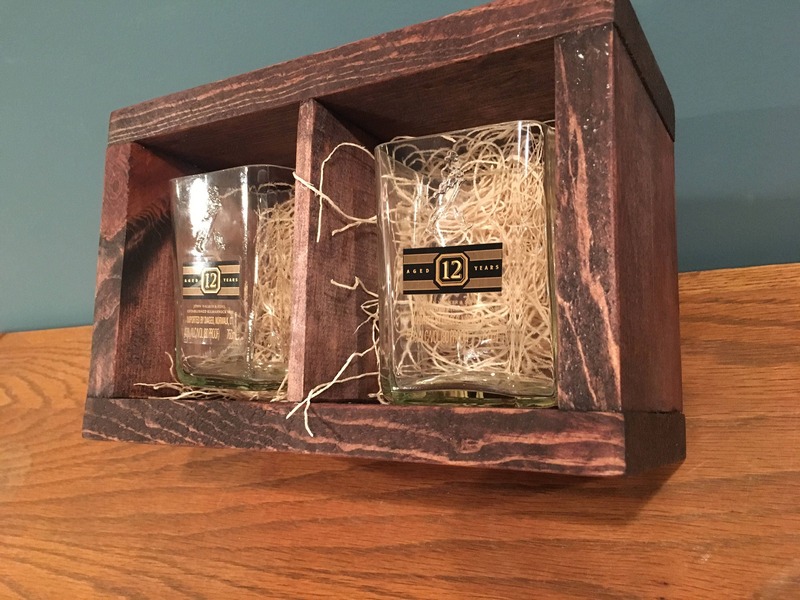 Also included is a wood gift box with wood shred.